Ready to Achieve Your Irish Language Goals? What’s really holding you back from really learning to speak the Irish language? Do you tell yourself that it’s too hard, that you’re not good enough to do it, that you’re too old, that you just don’t get around to it? Click the button above to take WOOP My Irish Language as a guided form. WOOP is a science-based mental strategy developed by NYU professor Gabriele Oettingen and colleagues, to help you to better achieve your life goals. We are not associated with them, we simply greatly admire the approach. 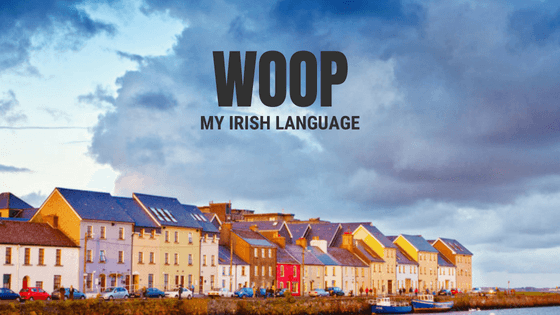 Our online presentation slides free to access, describing WOOP My Irish Language. You can also download them in PDF form by clicking here. Bitesize Irish Gaelic Podcast Episode 075, where Eoin covers WOOP My Irish Language in detail. Insightful podcast interview with Dr. Oettingen on Nourish Balance Thrive Podcast, where she talks the host in detail through the process.